Homeowners today are actively seeking new communities that will provide unique amenities to enrich and rejuvenate family life. According to a survey by the National Association of Home Builders, residents are looking to put down roots in places that offer the amenities and activities necessary to live a well-balanced, healthy lifestyle. 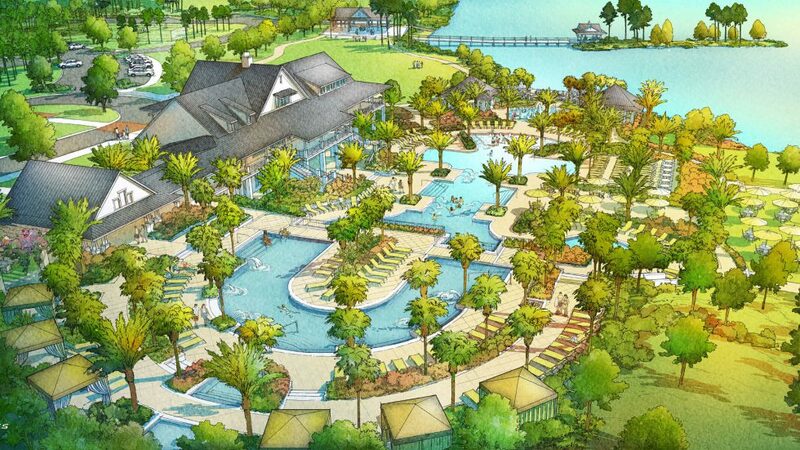 Arden, a new master-planned community in Palm Beach County, provides a host of recreational and relaxation outlets including 19 miles of trails, 176 acres of lakes, a 10,000-square-foot Clubhouse/Fitness facility and a five-acre working farm. NAHB suggests that homebuyers are looking for special features that will connect them to nature, like scenic parks and walking/jogging trails. Studies show that there are many benefits to spending time in nature, including reduced stress levels and increased life expectancy. At Arden, nearly every homesite backs up to a park, greenway or nature trail, giving residents a peaceful retreat just a few steps from home. Arden residents will enjoy more than 19 miles of walking, hiking and biking trails that wind throughout the community. Arden Lake, the mile-long central lake, is large enough to run a 5K on the trail around the perimeter! Arden residents will also enjoy direct access to a wildlife preserve, just a stone’s throw across Southern Boulevard. Eventually, Arden’s trails will connect to 165,000 acres of conservation land in Palm Beach and Marin counties. Recreation takes center stage with a generous 10,000-square-foot Clubhouse that features an inviting Wi-Fi cafe called The Hub, a spacious club room and plenty of indoor and outdoor gathering spaces. The Clubhouse also provides a 3,000-square-foot, fully-equipped Fitness Center with private group exercise studio, four illuminated Har-Tru tennis courts, playfields and multiple playgrounds. On the patio just beyond the main Clubhouse, a beautiful resort-style pool flows over two levels, with a peaceful upper pool surrounded by quiet cabanas and a lower zero-entry play pool that’s perfect for families. Kayaking and canoeing on the sparkling waters of Arden Lake will be a favorite among residents. A boat ramp provides easy access to the lake, while a charming wooden footbridge offers access to a small island with a gazebo—perfect for picnicking, fishing and wildlife observation. An onsite lifestyle coordinator will schedule and plan a year-round calendar of special events for residents of the community. These activities will cater to a wide range of interests based on resident preference, including holiday parties, hiking groups, wine-lovers outings, book clubs, adventures for outdoor enthusiasts and more. One of the central features of Arden is a five-acre working farm that will produce homegrown fruits, vegetables and herbs. Residents will share in the harvest that this farm produces. Residents will also be able to take seasonal classes with the farm manager on a variety of topics including healthy eating, farm-to-fork cuisine, cultivating herbs and flower arrangement. To learn more about Arden and all it offers, sign up to join the Founders Club to receive special email updates, invitations to special events and other news.